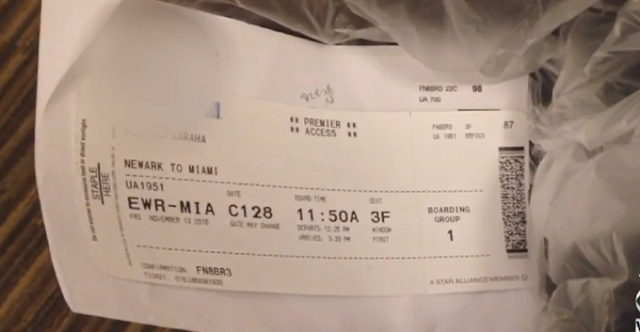 Apparently You Should Never Throw Away Your Boarding Pass. The Reason? I Had No Idea! Home » »Unlabelled » Apparently You Should Never Throw Away Your Boarding Pass. The Reason? I Had No Idea! When we travel by air, we hold onto our boarding passes like our lives depend on it, before boarding. We know that without it we are not getting on that plane. Once we have boarded, many of us become more careless about it’s whereabouts, because we are done with it. Sometimes we slip it in the seat pocket in front of us, stick it in a magazine, or just chuck it. Until watching this video I never realized that my carelessness with the boarding pass had the potential to land me in a ton of trouble! Evidently there is personal information frequently encrypted on the pass, according to ‘Krebs on Security”. All that an unscrupulous person has to do is get a screen shot of the bar code on the boarding pass, and feed it into a bar code reader on “Inlite’s” site. It was pointed out by a forensic expert for CBS, Winston Krone, that it is possible for the encrypted information on the bar code to contain personal email addresses, home addresses and phone numbers. Access to personal financial information is just a step away. Please watch the footage below to help insure the safety of your personal information. I never would have dreamed that being careless with my boarding pass could lead to such potential damage. Please SHARE this alarming and important safety information with your friends and family on Facebook. This post was republished from conspiracyclub.co. You can find the original post here.